On this episode of West Texas Talk, Elise Pepple and curator Jennifer Burris Staton talk with modern dancers Rashaun Mitchell and Silas Riener. The dancers met while in the Merce Cunningham Dance Company, and now perform together in non-traditional spaces, such as barns, abandoned buildings and, now, ranch land. 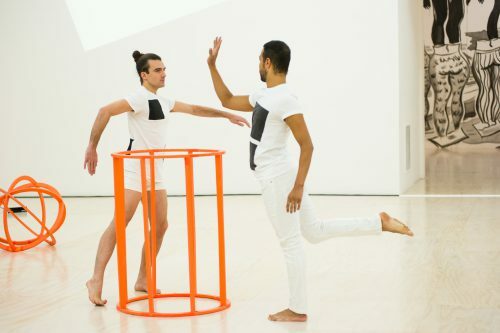 The dancers discuss their ideas around ritual, improvisation, and blurring the barriers between performers and audience members. Mitchell and Riener will be performing, with accompaniment by saxophonist Phillip Greenlief, this Sunday May, 28th on Fieldwork Marfa’s Antelope Hills Land from 7pm to sunset. 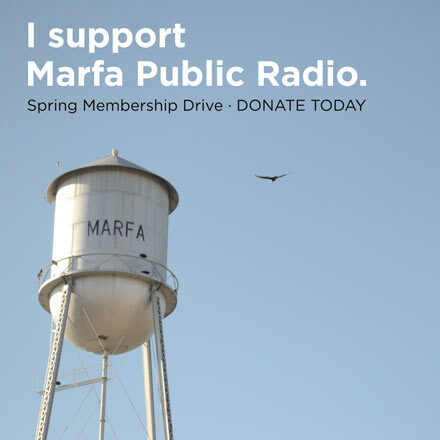 This performance is part of Marfa Sounding: Anna Halprin, a weekend of events produced by Marfa Live Arts. For a full schedule of events as well as maps, go to www.marfalivearts.org. This entry was posted in and tagged anna halprin, antelope hills, collaboration, Dance, desert, improvisation, landscape, marfa, marfa live arts, marfa sounding, Marfa Sounding: Anna Halprin, modern dance, Saxophone, sounding, West Texas. Bookmark the permalink.